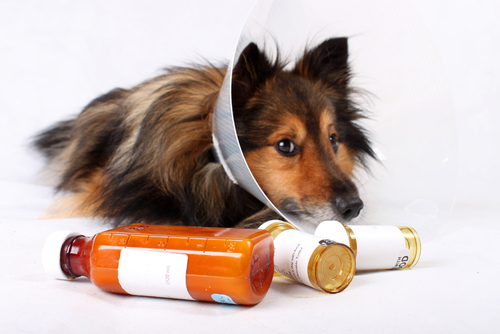 Ignorance is bliss, but not when it comes to your dog’s health. The more you know, the better you can take care of your beloved pooch. 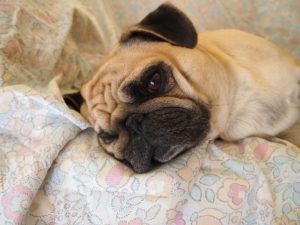 You know all about bloat and the importance of heartworm medication. But, there’s more to consider. This is what you need to know about another potentially life-threatening ailment. These are the facts about Cushing’s disease and dogs. This ailment, also known as Cushing’s syndrome, is when a dog’s adrenal glands produce too much of a certain hormone. The medical term for the condition is hyperadrenocorticism. Put another way, the outer part of the adrenal glands works overtime. Adrenal glands are near the kidneys and produce several important substances that regulate body functions. They are absolutely necessary to sustain life. The adrenal glands produce cortisol (also known as “cortisone”). When adrenal glands rapidly decrease or increase production of substances like cortisol it is life-threatening to your dog. Unlike heartworm, which is very slow to show itself, Cushing’s doesn’t take long to appear. There are distinctive symptoms. Remember, if your dog starts to exhibit these behaviors, it doesn’t automatically mean she has the disease. However, note changes in your pup’s regular daily behaviors and address them with her veterinarian. 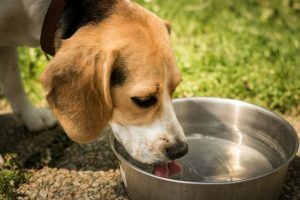 According to the American Kennel Club, these breeds are at greater risk of getting the disease: Poodles, Dachshunds, Boston Terriers, Boxers, and Beagles. Cushing’s disease is most often found in dogs over eight years old. First, the vet gives your dog a series of lab tests to determine if he has the syndrome. The tests include a basic blood chemistry profile, complete blood cell count, and an analysis of your pup’s feces and urine. If the initial tests come back positive, your vet needs to dig deeper with more testing and examines. There are three types of Cushing’s disease and they each have a different cause and treatment plan (we’ll get to that in a bit). Pituitary gland tumor. This is the most common type of the condition. The FDA says, “About 80–85 percent of Cushing’s is pituitary-dependent, meaning it’s triggered by a tumor on the pituitary, a pea-sized gland at the base of the brain.” This tumor is anywhere from tiny to large. It causes the adrenal glands to overproduce cortisol. Adrenal gland tumor. A benign or malignant (cancerous) tumor in the adrenal gland can cause the disease. Benign tumors require surgery. Increased cortisol from prolonged use of steroids. This is the least common type of the disease and is known as iatrogenic Cushing’s disease. Use of oral or injectable steroids causes dogs to get this type of disease. So, this is a potential consequence of too much steroid use in pups. Treatment of the disease is different depending on the cause. A pituitary gland tumor is treated by a mixture of two medications. Adrenal gland tumors require major abdominal surgery. The entire mass is removed if the tumor is benign and the prognosis for a return to normal health is very good. However, malignant tumors are more difficult to treat. Medication is used for treatment if the tumor is cancerous. Pups with iatrogenic Cushing’s disease must stop the use of steroids. Keep in mind that a professional needs to oversee this process. 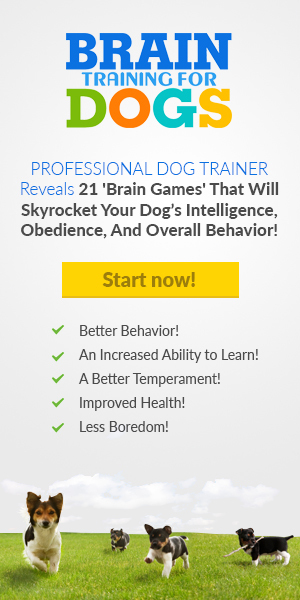 Wean your dog off steroids in a controlled, gradual manner to avoid complications. Unfortunately, if your pup stops taking steroids, the medication will no longer treat the initial disease. We can’t make this recommendation enough: know your dog’s regular behavior, demeanor, and appearance. 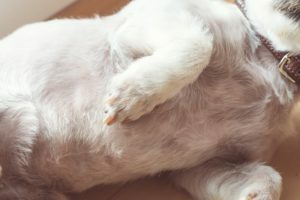 Notify your dog’s doctor if you observe swelling in her abdomen or a loss of hair. See an increase in drinking, eating, and urinating? Talk to the doctor. If your dog needs steroids for another medical condition, make sure to ask about the side effects. Basically, find out if there is a threat of Cushing’s disease. Unfortunately, this is not a disease you can prevent like heartworm. 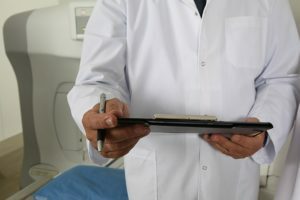 It is your job to be a steward of your dog’s health with regular trips to his vet and watching him for any major changes in the way he acts or looks.